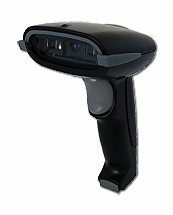 Magpie III Mobile barcode readers for connection to mac or pc, usb. "Roam where you want, in range or out of range, the Magpie III still collects your barcodes." Nominal Scan Rate - 100 scans/sec. Ambient Light - 3,000 to 8,000 LUX.